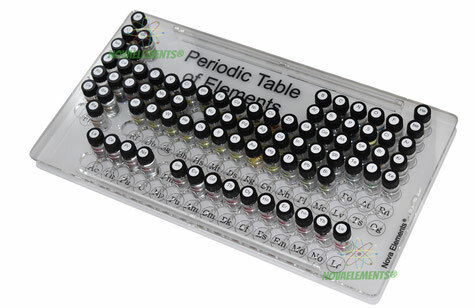 Collecting the elements of the periodic table is a fun and interesting way to discover chemistry and nature in general. Everyone can start a collection of elements and many elements can be found at home (carbon, for example, can be found in pencils as graphite). Other elements can be more difficult to find, however. Ninety-two elements occur naturally on Earth. Unfortunately, even these can not all be collected. Elements such as technetium, promethium, thorium and uranium are radioactive and are hard to come by both in nature and on the market. However, through us, you can collect up to eighty-six elements. 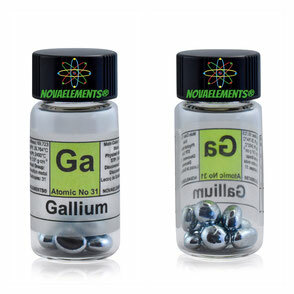 In fact, Nova Elements offers the opportunity to collect 5 more elements than any other seller in the world, including some elements that do not occur naturally, such as americium (metallic form); and extremely rare elements such as technetium (salt or metallic form), promethium (salt), and radium (salt). 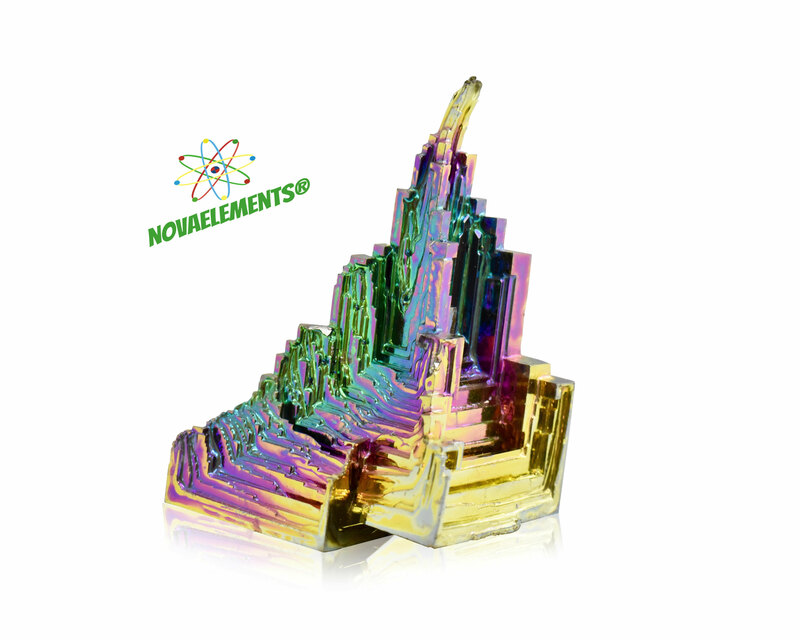 Nova Elements was founded with the idea of facilitating research of the elements of the periodic table for collectors all over the world. We materialise this idea by providing high purity samples at affordable prices, for use and for display, absolutely safe, for at home, in a laboratory, or in a museum. Nova Elements is an Italian company, with its warehouse also located in Italy. 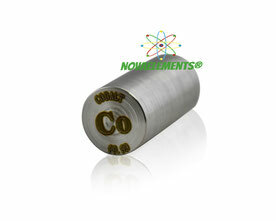 Nova Elements operates on a global level, supplying to laboratories, universities, and private and public collectors. 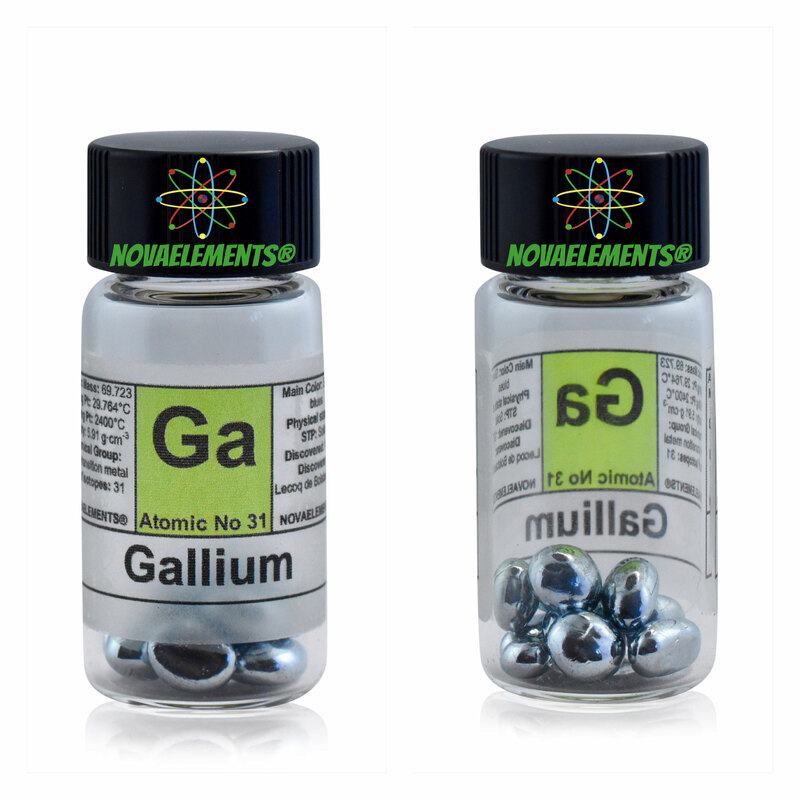 With the cooperation of other laboratories throughout the world, Nova Elements can prepare and offer amazing samples of the rarest elements, like rubidium and caesium, and noble metals like rhodium and osmium, among many others, all at a purity of 99.99%. If you have any questions, please feel free to contact us! Just click here. 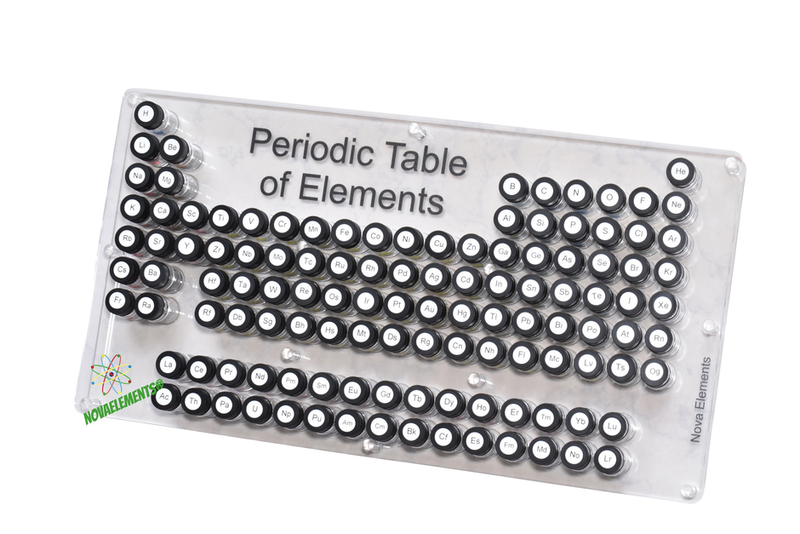 Introducing Nova Elements periodic table show case. Made in Italy with love. Finally everyone can collect and show the elements with our amazing show case. It contains 118 holes with the chemical symbol of every elements. This table fits only our standard glass vials, it is realized with high quality material in Italy. 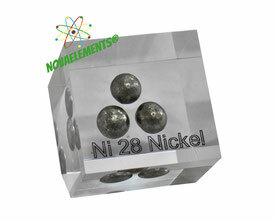 Iridium metal pellet 4N 99,99% 0.5 gram approx. Our mission: your complete satisfaction. 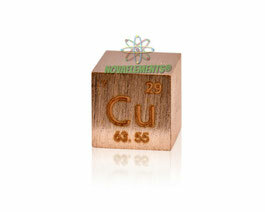 On our website you will find many different elements cubes. We can prepare a lot of different elements forms. Many of our elements are in different shapes, you can choose between crystals, pellets, ingots, and more. Our elements have a minimum purity of 99.9%. Many of them have purity 99,99% and more. We only sell elements of the highest quality and purity. You can find 4 different boxed set: 16, 24, 36, 50 elements boxed set. Every element is perfectly showed inside a high quality jar labeled on the bottom with the chemical symbol and atomic number for each element showed. Buy our brand new Boxed Sets! NovaElements now offer elegant and amazing acrylic Periodic Table, realized with high quality material, highly resistant and durable. 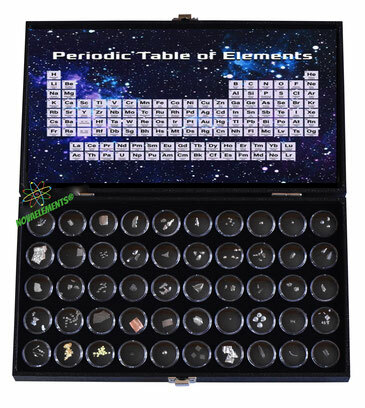 Buy now The Periodic Table Elements set! Our staff is now able to produce many elements metal rods having dimensions 20x10mm, engraved with the chemical symbol, name and purity of the element. Later we will produce also the acrylic table in which store all the rods. Buy our brand new metals rods! Our staff is now able to produce many elements metal cubes having dimensions 10x10x10mm with chemical symbol, name and purity engraved. Later we will produce also the acrylic table in which store all the cubes. Buy our brand new metals cubes! Every shipment in europe will be done with DPD and DHL express. we ship to USA with USPS, to canada with canada post and worldwide with the national post of your country. express shipping is also available worldwide, just ask us for it! we accept every values, like euros, U.S. dollars, A.u. dollars, u.k. pounds and more through paypal, credit cards and wire transfer!